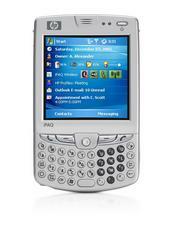 3GSM 2006 -- While it was hardly a secret, HP has finally announced the iPAQ hw6900. No real new information came out, but it's always nice to get official confirmation of specs. The HP iPAQ hw6900 series is expected to be available in the Asia Pacific and Europe, Middle East and Africa regions this spring and in North America in summer. Pricing will vary by carrier.